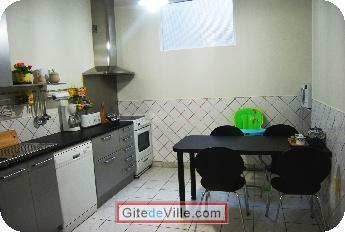 Vacation Rentals - Holiday Rental ads in the city of Epernay in France for Tourism. 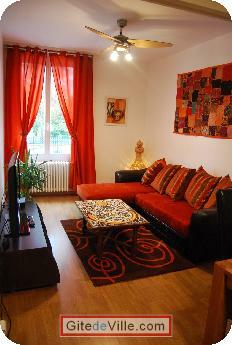 Self Catering Vacation Rental of 85 m² in Epernay for 6 peoples. Decorated with an oriental style, this dining room offers an intimate and friendly family. Oak table with 6 chairs. Equipment List: Buffet with conventional glasses, champagne glasses, wine glasses, ceiling fan, cookware breakfast and lunch. Kitchen equipped with all modern conveniences, open to the living room, it will make you feel like home cooking. Its integrated work plan also offers you the opportunity to make a quick meal and hurry if you do not have time to cook. 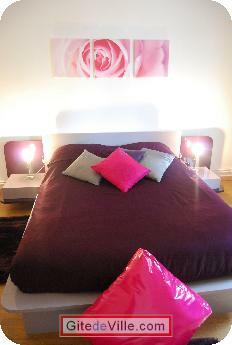 Bedroom with double bed, overlooking the park of the town hall of Epernay. Ideal for rest of the parents and their babies. 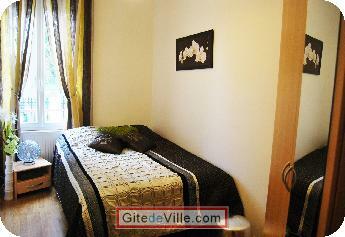 Bedroom with double bed, overlooking the park of the town hall of Epernay. your children or friends can sleep in peace. champagne and near the famous Avenue de Champagne. Last Ads update : 01/15/2013. 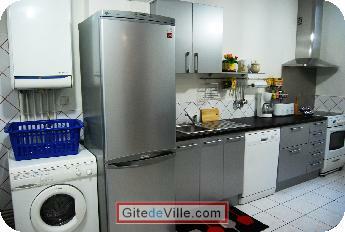 Owner of an urban accomodation or B&B to rent in Epernay ?